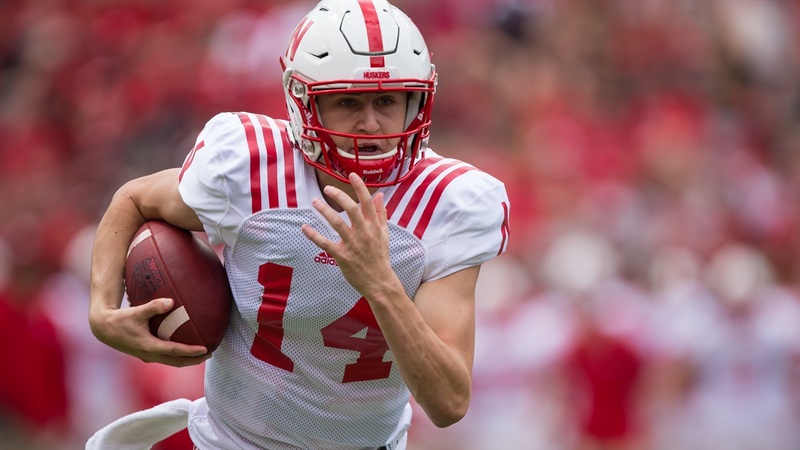 Redshirt freshman quarterback Tristan Gebbia is no longer enrolled at the University of Nebraska, a source confirmed to Hail Varsity. True freshman Adrian Martinez was named Nebraska's starter on Sunday. The team was informed of the decision on Saturday. Nebraska head coach Scott Frost said that Gebbia did not participate in the Huskers' Monday practice, the team's first in preparation for Saturday's season opener against Akron. "Tristan's a great kid," Frost said earlier on Monday. "There have been several players who have chosen not to be a part of the program. Some of the decisions I agreed with, some of them I didn't. But no matter what these are good kids and we want what's best for them. We preach that we care about the kids and when they make a decision that doesn't involve us we'd be lying if we didn't help them and act like they're important to us. "On the flip side, our team is always going to preach we before me, take care of the brother to my right and my left. I want players on the team that are actually about that. Whatever kids are on the roster come first game those are the brothers that I want to roll with." Gebbia and Martinez battled for the top spot through the spring and for most of fall camp. On Aug. 17, Frost said the "two-horse race" for the starting job was "neck-and-neck." A week later, Frost had decided on a starter but wasn't quite ready to announce it publicly. On Monday he shared a little more detail about what went into the decision. "I think several guys, Adrian and Tristan in particular, threw it well," Frost said. "I think Adrian’s athletic ability is probably the factor that, if there was a tie, that broke the tie. Both guys have done a great job learning it. Andrew [Bunch] did, too. He was right in the mix until we had to get closer to a decision. I think at the end of the day we’re more dangerous if we have a quarterback, if the throwing is close, if we have a quarterback that’s a threat to run it. I think our offense is better." With Gebbia out, sophomore walk-on Andrew Bunch presumably moves up to the No. 2 spot. Matt Masker, a true freshman walk-on, is the only other quarterback on the roster with eligibility for 2018.